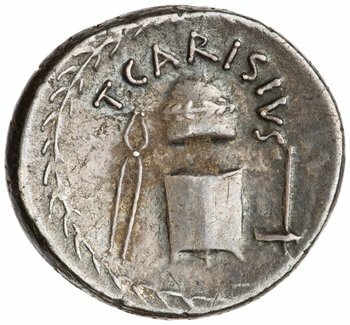 This little coin, a silver sesterius of 45 BC or there about, has me worried about the chronological limits of my book project. Yes, stopping in 49BC to leave the discussion of Caesar and the Civil Wars to another book does make good sense. 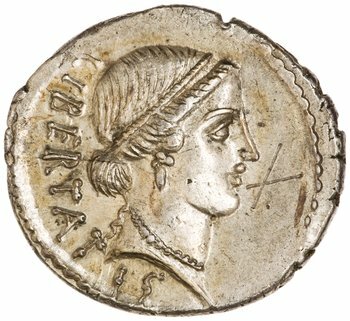 However, a good number of post-49BC coins are intimately thematically related to earlier coins in the series. The issue of Palikanus taken as a whole is a good illustration of the “republican” characteristics of some of these later issues. 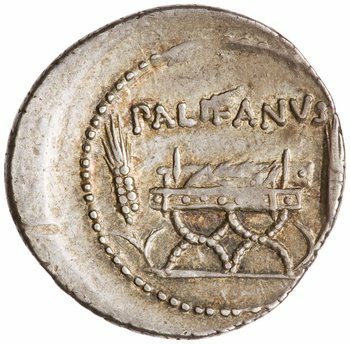 The above coin was thought to show a money pot or olla and a banker’s tessarae. This at least was Wiseman’s suggestion, based on the banking interests of the moneyer’s family. Wiseman, T. P. (1971) New Men in the Roman Senate, 139BC-AD14. Oxford p. 85-6. His idea is largely endorsed by Crawford and even to an extent by Zehnacker. 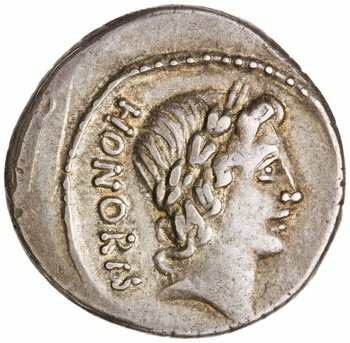 Given that all the other elements in the series celebrate civic virtues, even popular virtues, interpreting the smallest denomination in the series as a banking advert seems a bit of a stretch. A voting theme would harmonize much better. 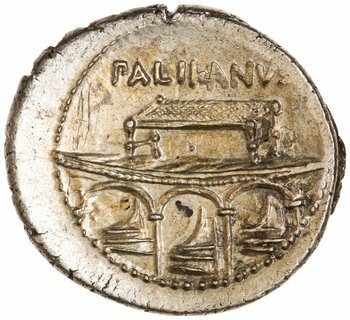 All that said, there was a temple of Ops (wealth) in Roman. If its not voting being represented, I’d go with another divine personification before assuming a reference to a family banking business. Also the use of the genitive on all these is types is striking. Perhaps I’ll just need to include a flash forward to work a few of this series in. Previous Post 213 out of 410 days: Mars or Achilles?